The metronome is a tool for identification. If you can’t play your music with a metronome you might have a tempo or rhythm problem. If you can play with the metronome then you need to know when to turn it off and think more about the music. I actually use metronomes quite often because I play mainly chamber music and therefore need to make sure I can hold my rhythm so I am prepared for rehearsals. The last thing my ensemble partners need is incorrect rhythm or tempo variations. However, there needs to be enough musical insight to make sure I’m not ignoring the natural flow of the music and any possible rubato needed. Actually, even just basic shaping and phrasing can result in some push and pull in the tempo/rhythm so again, knowing when not to use the metronome is an asset. I do, however, have a personal preference for a fairly steady rhythmic scheme in music and I’m not a huge fan of overly-expressive rubato. It’s really just not my thing to play with a lot of rhythmic freedom where history doesn’t ‘officially’ call for it but that doesn’t mean that you should take the same opinion. 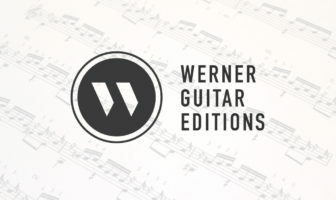 Maybe I just feel like rebelling against the traditional stigma of the Spanish guitar players performing everything from Bach to Britten with a washed-out Romantic style. When in doubt the metronome keeps you very in control of a clearly presented rhythmic framework which you can then break away from for specific reasons. Or even more important, you can use it to identify issues and then just turn it off. Rhythm: Metronomes keep your rhythm in check. I find it extremely useful when working on a new piece of music where the overall rhythmic unity and framework might not be very clear or understood yet. Tempo: I often run my prepared pieces at multiple tempos depending on what I’m trying to improve. Slow tempos offer a chance to clean up technique and make sure every movement is secure. Faster tempos help check the pulse and drive of the music under multiple rhythmic divisions of the beat. Rhythmic Teacher: When practicing with a metronome you are training your muscle memory to play “in-time” and your mind to connect the music to a steady pulse. 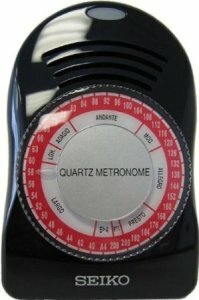 The metronome provides a basic standard of rhythm, and more importantly, a one that never lets you get away with anything! You can’t fool the metronome, you are either with it or you drag or rush. The metronome demands that you play in-time and for that reason it is one of the best teachers you will ever have – it makes no exceptions. Staying awake: This is one of my biggest reasons for using a metronome. As a working musician I need to practice for a few hours a day and sometimes, despite my 10 cups of coffee, I get tired. However, metronomes really keep me focused. It never relents and just keeps pushing out the beat, what can you do but continue to play along. Lack of musicality: One has to be careful when using a metronome because most music (not all) does not require an exact and unrelentingly steady beat. A good deal Romantic era music, for example, uses a flexible rhythmic feel with rubato. If we always practice with a metronome it is very likely that our muscle memory and even our minds will cancel out all musical concerns and focus only on the metronome-style. So if you don’t want to sound like a robot then you need to turn off the metronome and explore the music itself. You need to pick the musical aesthetic you want and then train your hands to play the piece in that way and train your mind to hear the music in that way. There’s no shortcuts folks, you have to practice the music the way you want it to sound on stage. A distracting aural experience: One of the big problems with metronomes is that our mind can focus on it so much that we forget all the other musical characteristics we need to maintain. For example, I often find when using the metronome that I’ve been playing forte (loud/forcefully) the whole time. In this way, the metronome becomes a form of distraction from everything besides rhythm. Lack of confidence/skill without the metronome (learning to hold your own): I play better with a metronome because it maintains a portion of the musical workload when I play. Therefore, if I only practice with the ‘aid’ of a metronome than I may become reliant on it. Suddenly, when I try to play the piece I’ve been working on for months without the metronome I find that I sound awful without it and everything I do ‘feels’ different. Again, you need to practice your music in the exact way that you would on stage in order to build those skills on your own. Slow practice: This is the number one time that I turn the metronome on. When I practice a fast piece I try to take sections and play them slowly and out of context to secure my technique and closely look at the notes and physical requirements. Also, if you fall asleep from this kind of meticulously slow work then the metronome can help keep you engaged. Day by day: One of the things I like to do when starting a new piece is to work out all the musical ideas and technical concerns right away. Then I get the piece in my hands and pretty much up the metronome everyday. Be careful though, you want to run small sections at full speed and without the metronome to put the work in context and understand what the real requirements will be. Multiple rhythmic divisions: Especially with difficult rhythms the metronome can be extremely useful for putting a piece in context of small and large divisions. A 4/4 time work might benefit from practice on the eighth-note for rhythmic tightness or on half-notes for a simple and larger feeling of pulse. Each division of the beat can expose weaknesses to work out. Technique practice: Technique is the best place to put the metronome on. Technique doesn’t necessarily require the same musical requirements of composed music and is a training ground to work out technical problems. Put it on and you’ll practice longer and really get down to making that connection between the body and rhythm. Another hidden benefit to metronomes is the rewarding feeling of seeing the little number go up. Music students often feel as if they ‘are going nowhere’ on their instrument. I get them to write down ‘80’ bpm above a scale early in the year and cross it out when they can play it well at that speed. Then they write ‘82’ and do the same. Seeing that number get crossed off is proof that they are progressing (at speed at least) and that is a very positive contribution to their confidence and motivation. Music is a never-ending endeavour, we keep practicing because we love the art and love the feeling of bettering ourselves and our music. Therefore, goal oriented practice with a record of success is very important. In short, use the metronome in moderation unless you have specific rhythm problems. It is a tool so use it as such, it is not part of your music so know when to turn it off. I tell this to all my youth students to make them laugh (at me mostly). I used to go to New York all the time and in the subways they have these little brass statues that are up to no good. The brass figures are cops stealing from the poor, workmen sawing down the foundational supports etc. They are about one foot tall. What are little men in the subway called? Metro-gnomes. Ha? I use this one exclusively because it is ultra simple and has a very nice wood-like tock sound. Be sure to browse to the criticism section.